Make up a silly, nonsense food like Worm Pudding, Goop Balls, or Sticky Icky Buns. 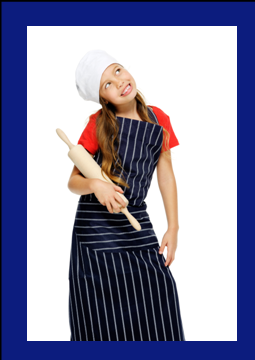 You or your child will pretend to be the main ingredient of the silly food you have made up. Figure out what else you’ll need to add to the main ingredient for your silly food. What can you use to represent those things? For example, confetti for sugar; raisins for ants, blanket for gravy, etc. Make the things that will represent the ingredients you will need. Be sure to name your silly food and to let your child know how creative he is. After you have all the drawing, cutting, coloring, sculpting, and collecting done, plan a day to use all your “ingredients” to play a Silly Food game.